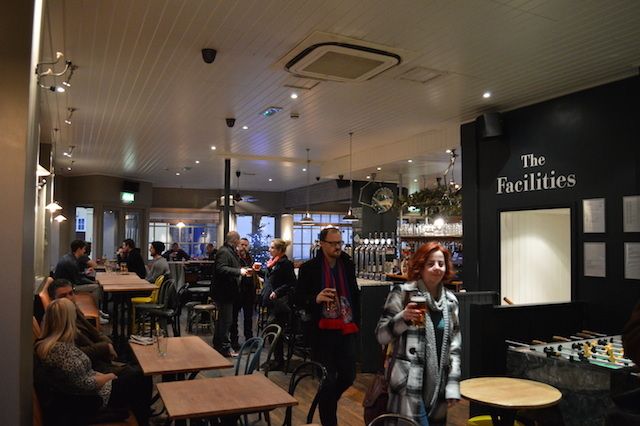 This pub was voted as one of the best in Dulwich by Londonist readers. The ubiquitous Metropolitan Pub Company owns two Dulwich pubs, almost within sight of one another, hilariously named The Actress and The Bishop. Both have similar stylings, with wooden floors, white ceilings and dark green walls, but there are differences, too. 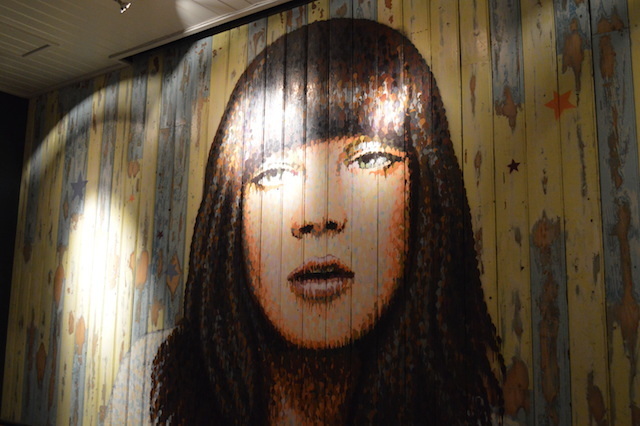 The Actress is overseen by a huge pointillist mural, presumably of said Actress. She looks a bit doped up, to be honest, bust it's still a memorable bit of art. 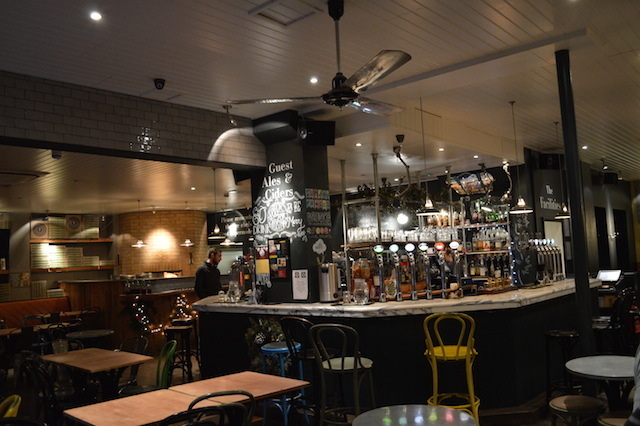 Otherwise, the place looks like some impossible offspring between an American diner, a sports bar and a gastropub, with long benches against the walls and colourful bar stools. It's kegs-a-go-go at the bar, with plenty of chilled beverages to choose among. Just one draught ale was available on our visit, a delicious, cinnamony Christmas beer from Hogs Back. Food tends towards American dining, with pizzas, hot dogs and burgers clamouring for attention on the menu. On Twitter as @TheActressSE22. On Facebook.